After Dump, What Happens To Electronic Waste? Even recycling your old TVs and computers doesn't mean you're doing the right thing -- trashing certain items may mean major health and environmental problems. Jim Puckett of the Basal Action Network talks about the best ways to ensure your electronics are being recycled correctly. 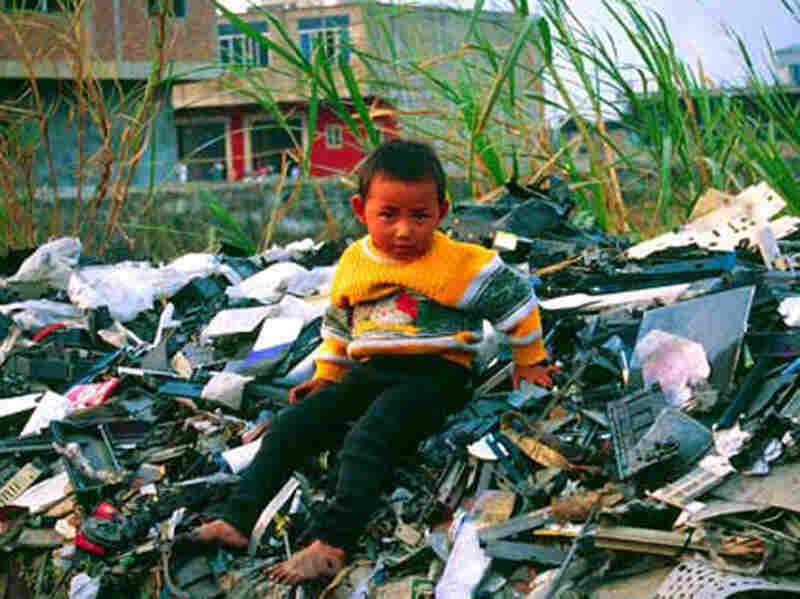 In this file photo from 2001, a migrant child sits atop a pile of unrecyclable computer waste imported to Guiya, China, from other countries. Many people will receive a new computer or cell phone this holiday season -- and throw out their old equipment. And when old TVs and computers end up in landfills, the toxic metals and flame retardants they contain can cause environmental problems. Yet even recycling your e-waste, as it's called, does not always mean you're doing the right thing. "The dirty little secret is that when you take [your electronic waste] to a recycler, instead of throwing it in a trashcan, about 80 percent of that material, very quickly, finds itself on a container ship going to a country like China, Nigeria, India, Vietnam, Pakistan -- where very dirty things happen to it," says Jim Puckett, the executive director of the Basel Action Network, which works to keep toxic waste out of the environment. Recyclers can make money from selling scavenged metal from electronic equipment, says Puckett, but the process to retrieve usable metals is typically extremely toxic. Workers who remove the metals often have no protective equipment and breathe in high levels of toxic chemicals, which are then released into the atmosphere. And most of the countries where the processing takes place -- China, India, Ghana, Pakistan -- do not have regulations in place to protect workers or prevent the primitive recycling operations. 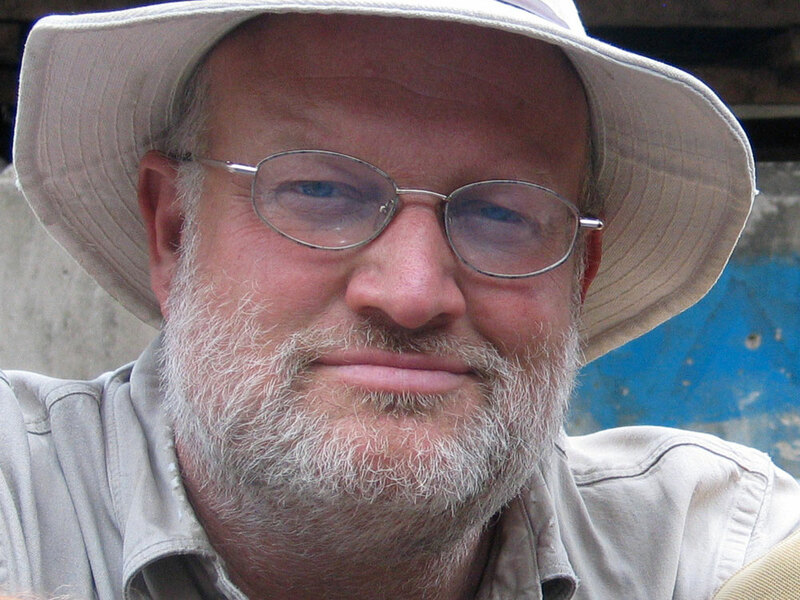 Jim Puckett is the executive director of the Basal Action Network, which monitors electronic waste around the globe. Puckett describes a trip he took, to Guiya, China, in December 2001 as a "cyber-age nightmare." "It's the only part of the world where you'll go and see thousands of women on any given day that are sitting ... basically cooking printed circuit boards," he says. "As a result, they're breathing all of the brominated flame retardants and the lead and tin that are being heated up. You smell it in the air. You get headaches as soon as you enter this area. It really is quite sad." So how does your computer or handheld electronic device end up in developing countries, where people remove usable metals by hand? The answer, says Puckett, is that electronic recycling is a very lucrative business. "A recycler can be a recycler in name only," he says. "These so-called recyclers have found that that they can make a lot more money just exporting this material, because the U.S. laws completely allow it to happen. And they're able to externalize the real costs of doing things in an environmentally responsible way." Hundreds of containers leave North America every day full of electronic waste, says Puckett. "It's a massive trade and what has happened is, we've passed laws to make recycling become the password. And unfortunately, it's the password to a lot of very sad results," he says. But there are ways to assure that your old electronic equipment is handled by a reputable recycler, says Puckett. Check to see if your recycler is first looking to see if old equipment can be reused. "Reuse is always more environmentally sound," says Puckett. "If you can give that an extra life -- an extra couple years -- and so refurbishing is really what you want your recycler to do." "There are about half a dozen smelters on the planet who are good environmental smelters," he says. "There's a whole lot of them that aren't. ... But that's how it's done, when you don't dump it off-shore. You very carefully take those metals, take those plastics and try to recycle each one of them separately."